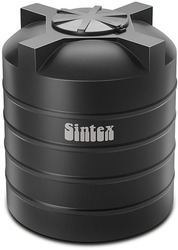 We are engaged in offering to our clients, a wide collection of sintex Chemical tanks. Our range is used for carrying and storing Chemical in different organizations and numerous industries. Our range of product widely finds its application in industrial and household sectors for Chemical storage facilities. We offer these to our customers at competitive prices.